Each year, Southbank is filled with amazing aromas and delicious flavours of local food and drink. 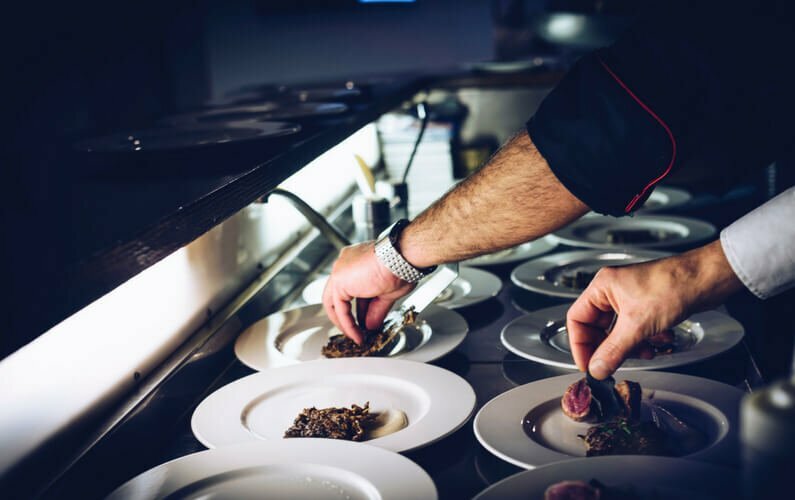 Dishing up the best of the best in the Queensland region. This year, Regional Flavours Brisbane, now in its tenth year, did not disappoint. Olympus Cheese was honoured to be part of a unique food event “The Producers Dinner.” This was presented by The Charming Squire and Meat and Livestock Australia, and hosted by beer writer Matt Kirkegaard. 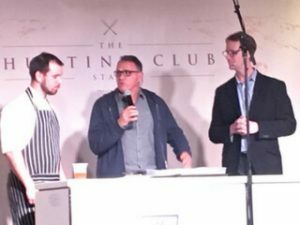 An event which allowed “the best of the best” to come together at The Hunting Club for one amazing night of culinary heaven. 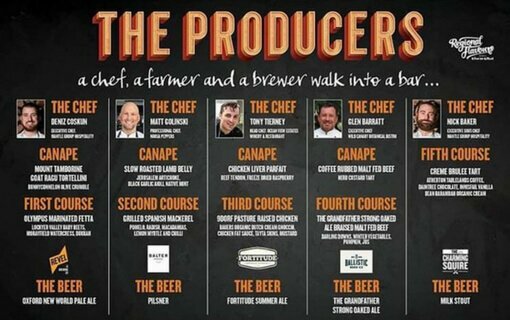 The Producers Dinner was a unique collaborative project for Regional Flavours, which produced a fine evening. Guests could enjoy the amazing culinary skills of 5 acclaimed Queensland chefs. They each produced a delicious course and canape, using amazing local produce and perfectly matched with a Queensland beer. The result was innovative, and altogether delicious. Our award-winning Marinated Fetta was chosen by Chef Deniz Coskun (The Charming Squire) to be part of the First Course. 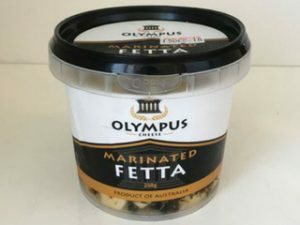 Deniz chose our marinated fetta which has rich peppery garlic flavours. It was paired with Lockyer Valley baby beets, Morayfield watercress and dukkah. The beer selected to marry this dish was a Revel Oxford New World Pale Ale. The light, smooth ale was the perfect complement to the sharp peppery fetta and sweet tangy beets. Deniz’ canape was a delicious Mount Tambourine Goat Ragu Tortellini, with a Bunnyconnellen Olive Crumble. We love Bunnyconnellen olives, and they are fellow sponsors of an upcoming event we are involved in, The Mediterranean Diet Expo. Matt Golinkski – Second course of grilled Spanish mackerel with pomelo, radish, macadamias, lemon myrtle and chilli. Accompanied by a Balter Pilsner. Tony Tierney – Third Course of 9Dorf pasture raised chicken, Bakers Organic dutch cream gnocchi, chicken fat sauce, tayta skins and mustard. Paired with a Fortitude Brewing Summer Ale. Glen Barratt – Fourth Course of The Ballistic Grandfather Strong Oaked Ale Malt Braised Beef with Darling Downs winter vegetables, pumpkin and just. Accompanying Ballistic ale of the same name. Nik Baker – Fifth Course of Crème Brulee Tart with Atherton Tablelands coffee, Daintree chocolate, Innisfail vanilla bean, and Barambah Organics cream. Paired with The Charming Squire Milk Stout. We are continually humbled by the support we receive at Olympus Cheese. This is not only from consumers, but chefs, restaurateurs, café owners and retailers across Queensland. It is so heartwarming to us that the love and care we have for our end-product is appreciated. Our commitment to support and promote fellow local food producers and artisans will remain. Choosing local, delicious produce sold by great local retailers supports the local economy. This helps the people directly around us and our community to thrive. When you choose local, you are supporting a dream. We thank you for supporting ours.